Key Ring of Presidential Seal. Available in silver tone plated. Overall, 2 1/2" long with medallion measuring 1 38" diameter. 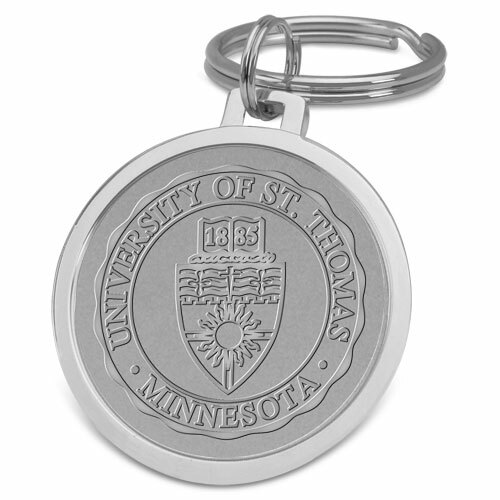 Please select option for Key Ring- Silver Presidential Seal. 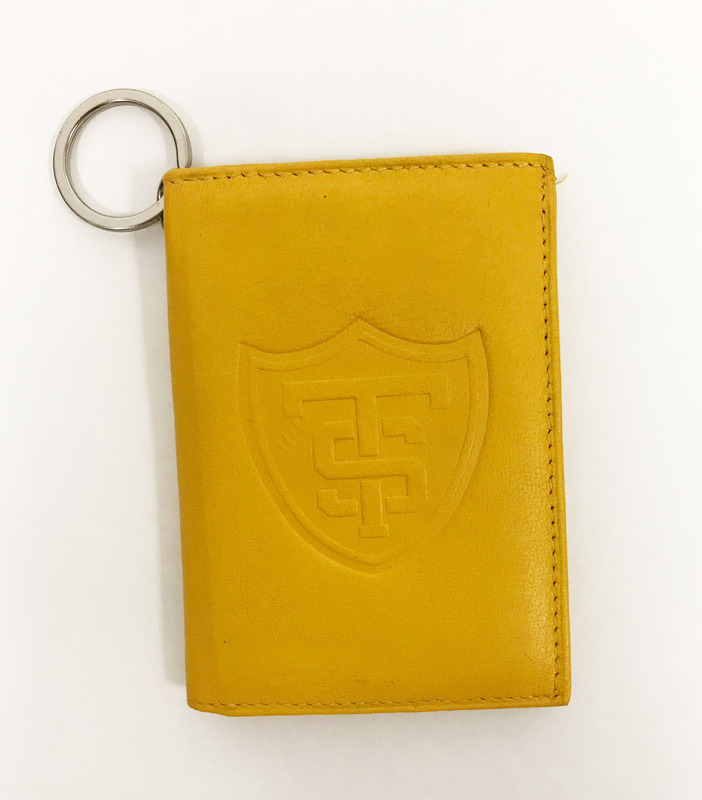 A timeless and classic piece, this full grain leather I.D. 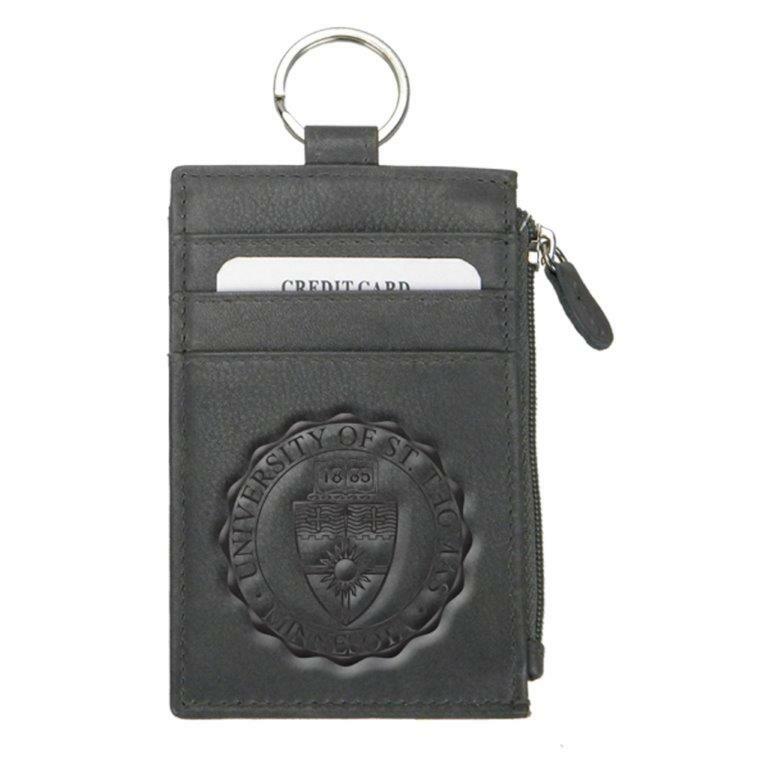 holder features easy access to your identification card through an outside window with a thumb slide. Inside it holds multiple cards. Also includes hook-and-loop closure and keyring. Carolina Sewn Leather Keyring Wallet in Black. Window pocket for ID, zip top for coin or bills and three slots for cards. Presidential Seal embossed on card slot pocket. Carolina Sewn Leather Key-ring Wallet in Gray. 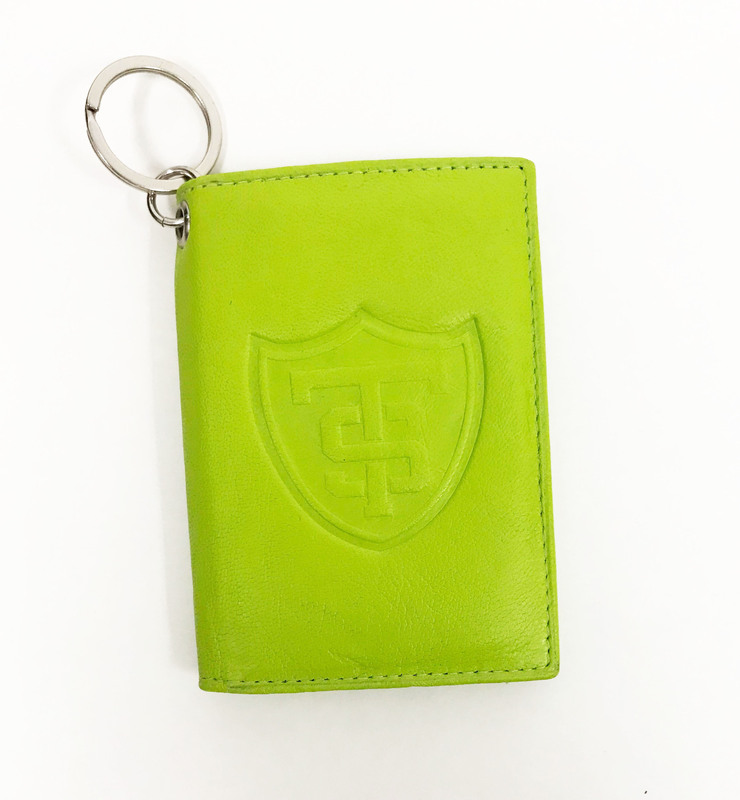 Window pocket for ID, zip top for coin or bills and three slots for cards. Presidential Seal embossed on card slot pocket. 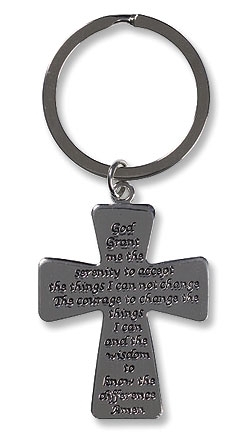 Keyring with charms of the shield and a skeleton key. Show your spirit with this ring! 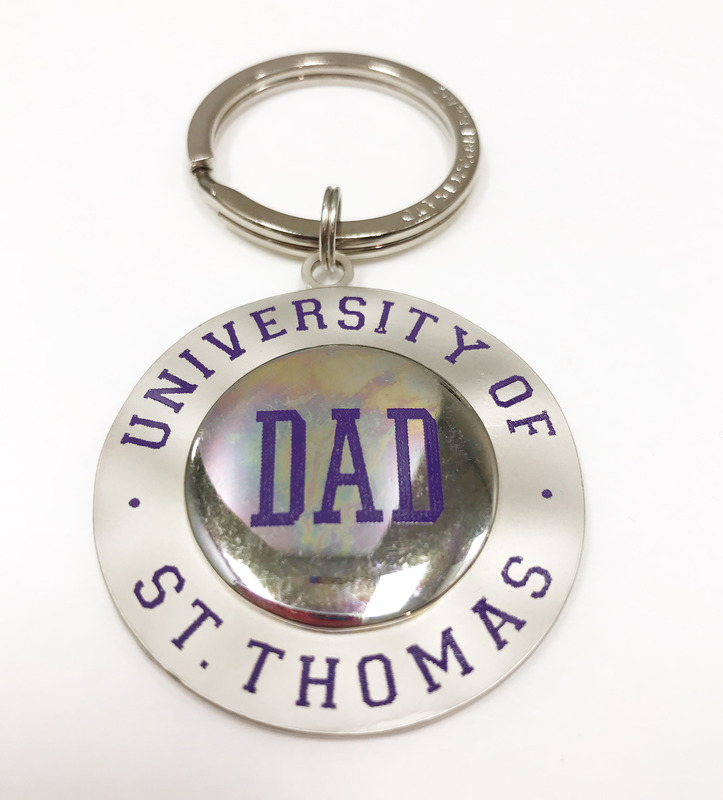 Lanyard-Pink Camo Lanyard "University of St. Thomas"
Pink Camo Lanyard "University of St. Thomas"
Lanyard-Pink lanyard with ID Card Holder "Tommies"
Pink lanyard with ID Card Holder "Tommies"
Two Sectional Key Ring with Presidential Seal. Available in gold plated only. Overall size is 4" by 1 1/2". 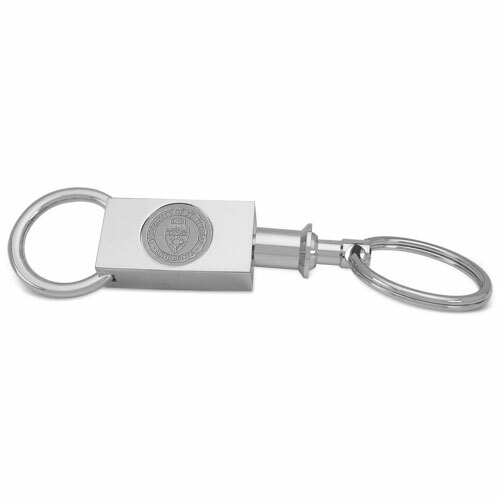 Please select option for TWO SECTIONAL KEY RING. Carolina Sewn tri-fold leather wallet in black. 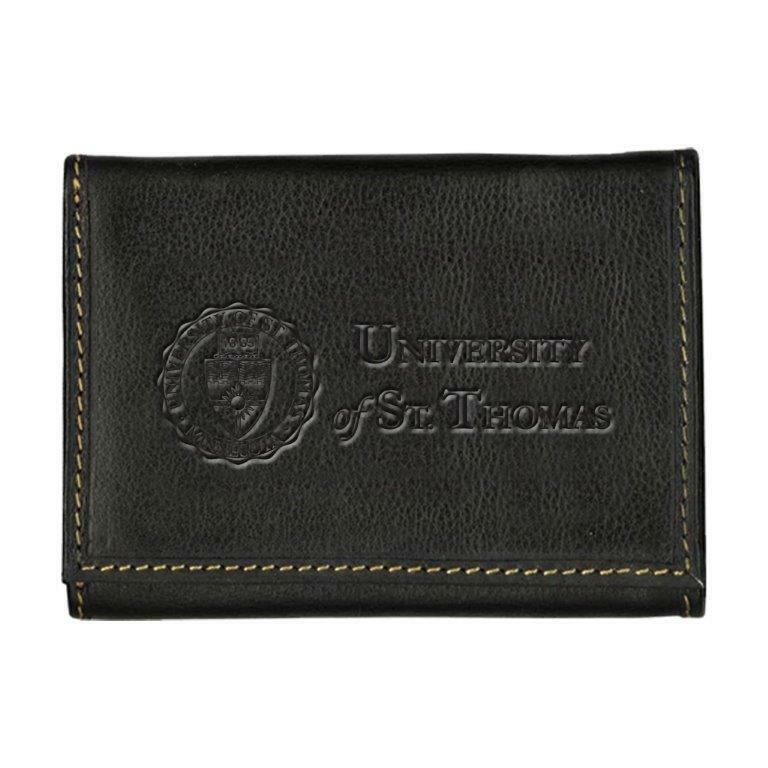 Contrast stitching with Presidential seal and University of St Thomas on front section. Slide in spaces for eight cards and window for ID. Cash pocket. Genuine leather. Wristlet- black wallet Soft vegan leather finish wristlet wallet with strap. Zippered main compartment and zippered front pocket. Fully lined. Complies with NFL stadium size requirements. Wristlet- Cream wallet Soft vegan leather finish wristlet wallet with strap. Zippered main compartment and zippered front pocket. Fully lined. Complies with NFL stadium size requirements.